Imagine the quintessential Caribbean island village, its cottages nestled hand-in-hand on charming historic pedestrian streets. As people stroll by, sun kissed from an afternoon of beaching and sight seeing, they'll say hi to one another even if they've never met. 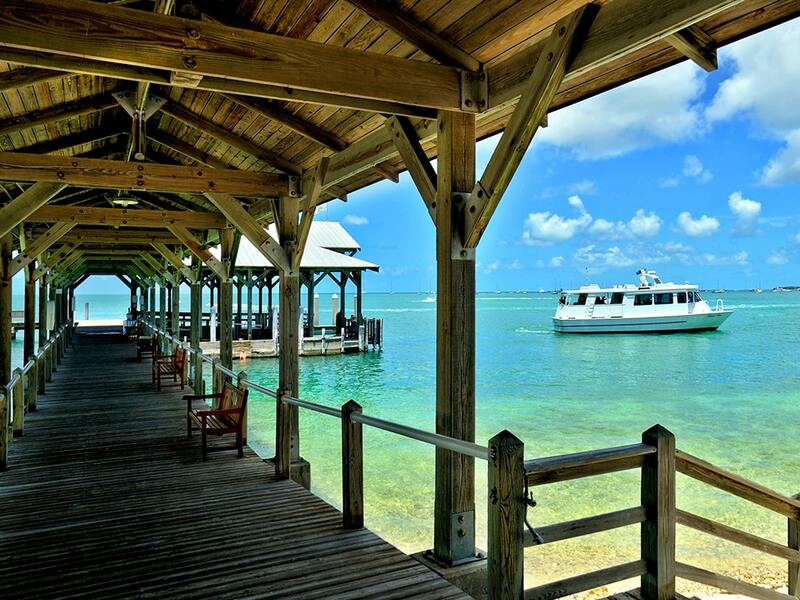 This is your neighborhood during your stay at the Caribbean Cottage vacation rental. 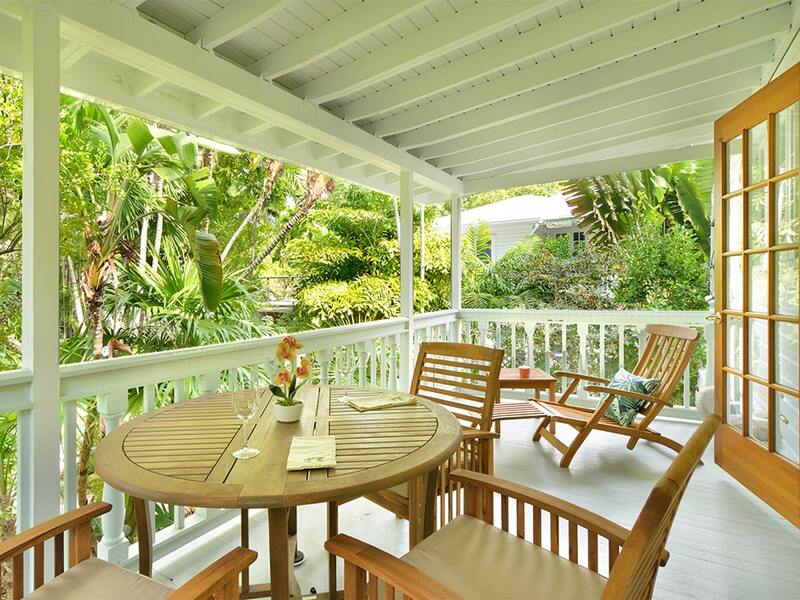 One of the best vacation rental locations on the island - without a doubt. Around the corner "Grand Vin" wine bar stands ready for an evening wine tasting session while "Flamingo Crossing" ice cream parlor offers up a new flavor of home made glace. 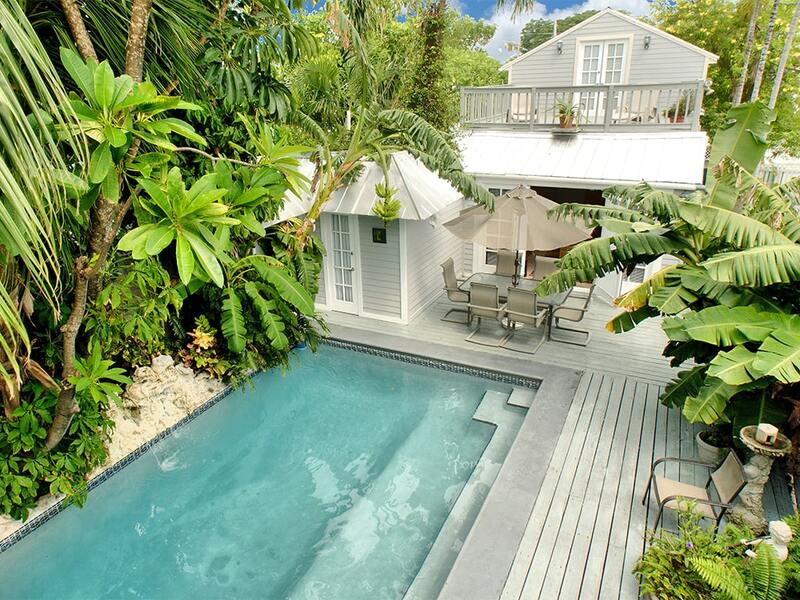 Brimming with genuine island charm, our Caribbean Cottage, with private pool, was originally built in the early 1900’s. 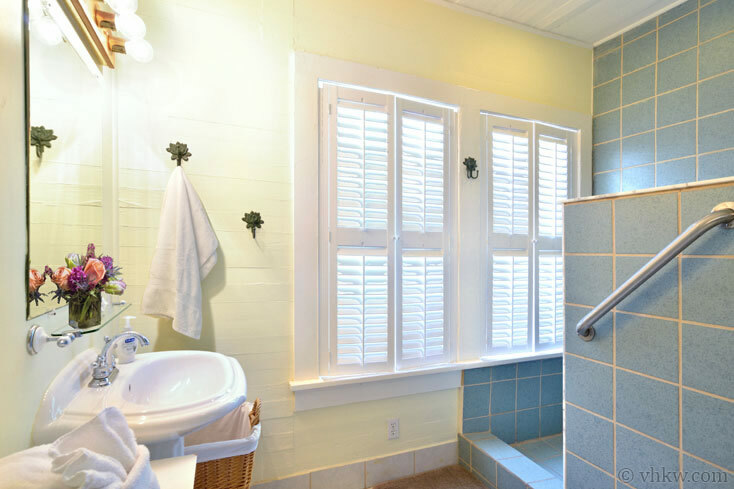 Artistically renovated to maintain the original wood planked polished floors and vintage hand-hewed beams, the owners added bright blue tile (accented with marble), and Bahama style wooden window shutters tat compliment the historic interior. Original pine walls were painted with elegant historic colors of olive and cream and adorned the sash style windows and French linen curtains. Reserved for owner's use only for many years, original artwork from their private collection is displayed throughout for you to enjoy. The living room is a generous cottage size with plenty of room to gather. On the side closest to the kitchen, a dining table is placed to create a roomy eating area. The adjoining "butler-pantry" style kitchen is spacious, has a charming French-Caribbean style ambiance, and is fully equipped and easy to cook in. The interior lay-out of this cottage maximizes privacy with the bedrooms and bathrooms on one side and common living areas on the other. The cottage has two full bedrooms and two full bathrooms. Bedding in this vintage cottage includes a king size bed in the master bedroom, and a queen size bed in the other. The master bedroom boasts a beautiful rich wooden armoire, and French doors lead from the bedroom to a pretty outdoor sitting area for reading and lounging. For extra sleeping, the living room has a comfortable twin daybed. 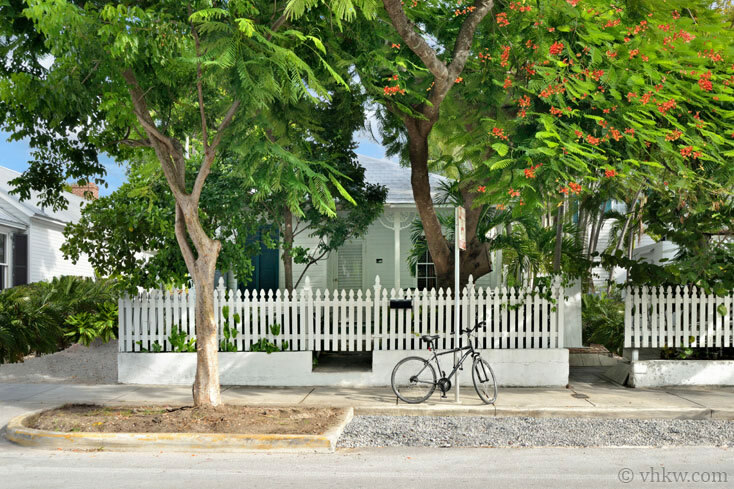 From the outside front, the cottage has charming curb appeal with a large beautiful Royal Poinciana tree and the Key West quintessential white picket fence, and of course the porch to sit and watch the world go by. 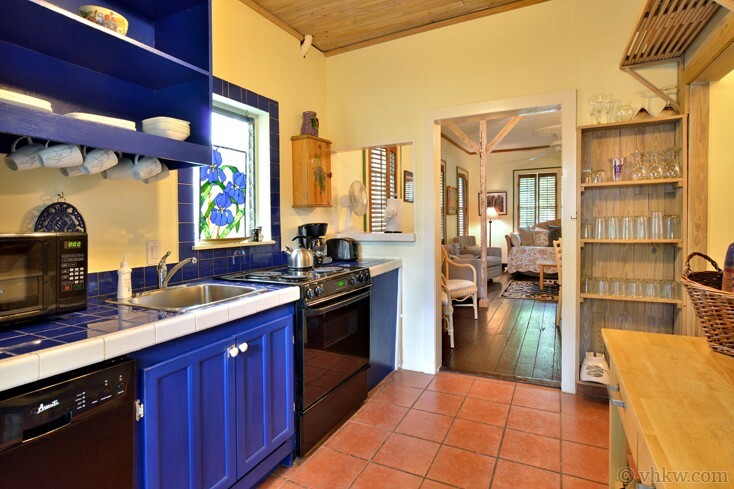 The general design and layout of the cottage lends itself perfectly for versatile use. It is ideal for up to four, and can sleep up to five people comfortably. 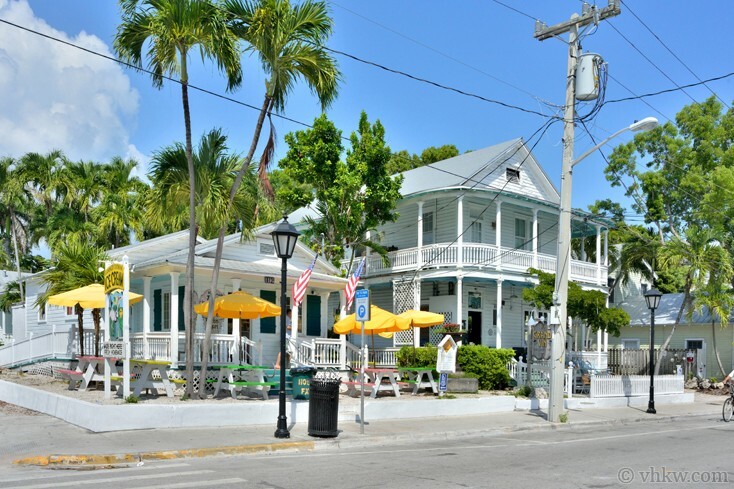 If you are looking for a truly authentic Key West experience, this cottage could be the perfect one for you. 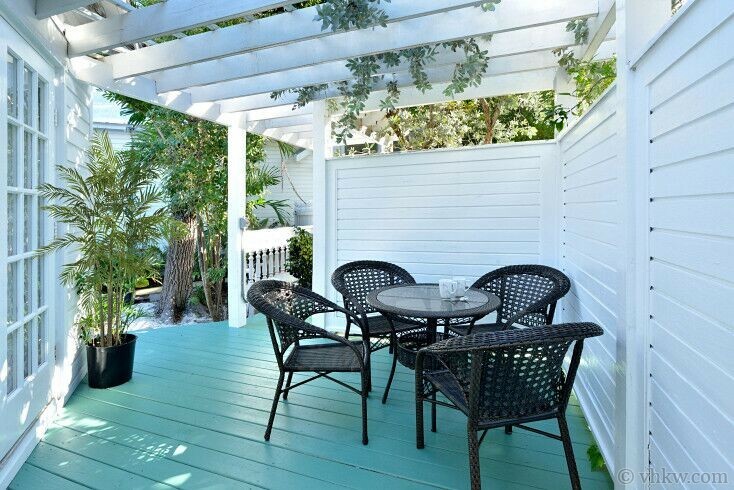 This charming property is located in the Upper-Duval Street historic neighborhood - a special section of Key West offering many up-scale attractions and interesting features including excellent gourmet restaurants, art galleries, boutiques, a high-end wine tasting store, an award winning home made ice cream shop, a coffee and tea house, South Beach around the corner, and .just a short walk to down to Mallory Square. There is off-street parking for one full size car, but from here you really never need to get in your car. Upper Duval Street is right out your front door, so forget the hassle of parking and enjoy walking or biking everywhere. 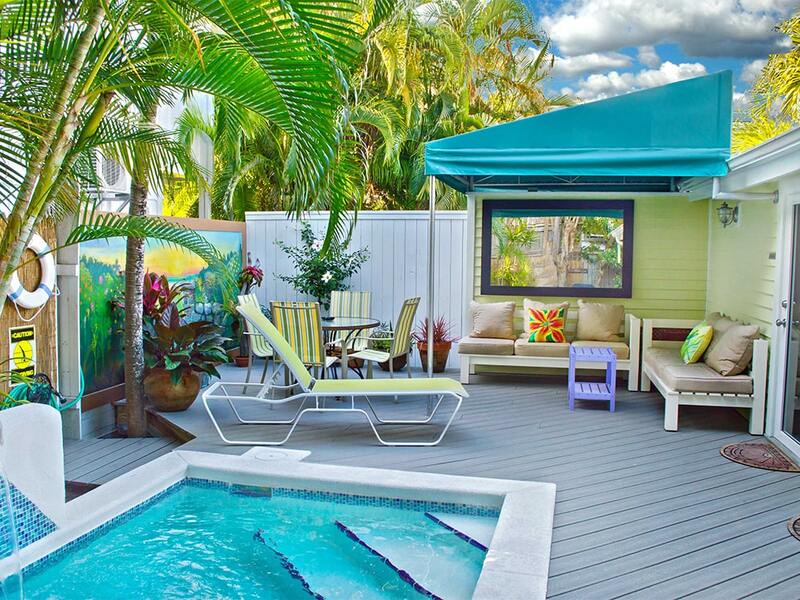 Enjoy the island to the fullest, and then come home to relax in the pool. Amenities: Champagne for the newly weds! 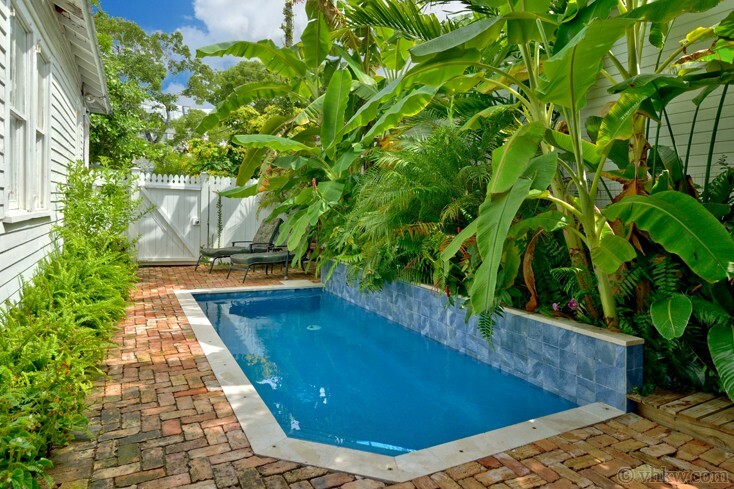 Private pool with bricked courtyard garden, fenced yard, fully equipped kitchen. A/C, washer / dryer, Flat screen color cable TV, C/D player and stereo, wireless internet. Linens and towels are provided. Activities: Shopping, restaurants, nightlife, museums, sailing, boating, snorkeling, diving, theatre, night life, family activities. Everything is within walking distance. Cafe neighborhood features art galleries, wonderful eateries and internationally famous fine restaurants, coffee house, fine gift and clothing stores. 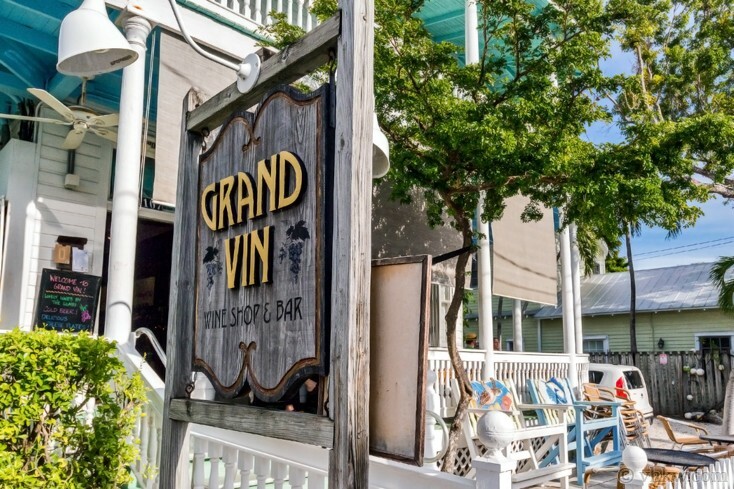 Right out your gate find Grand Vin Wine Bar, where you’ll enjoy a broad selection of wine by the glass and Flamingo Crossing, the award winning homemade ice cream store with some of the best ice cream you’ll ever eat. 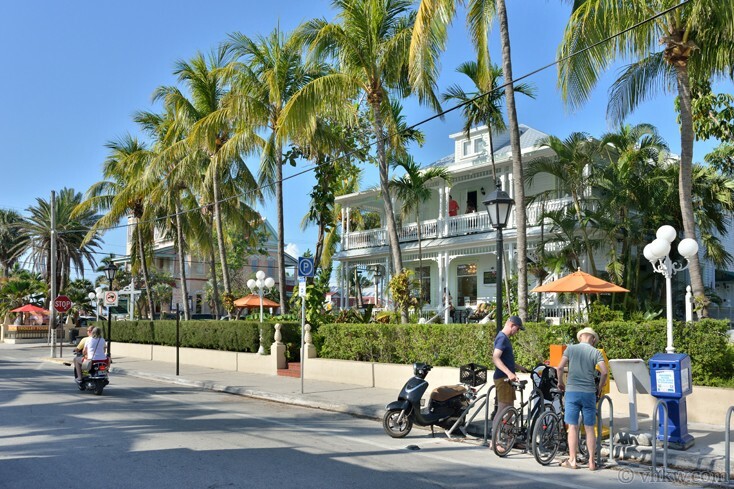 Key West South Beach is a 3 minute walk up the street at most Upper end of Duval St.
Area: Upper Duval or 'Uptown Key West' has evolved into the "elegant end of Duval" and offers an exceptional variety of restaurants, beautiful boutiques, and art galleries. 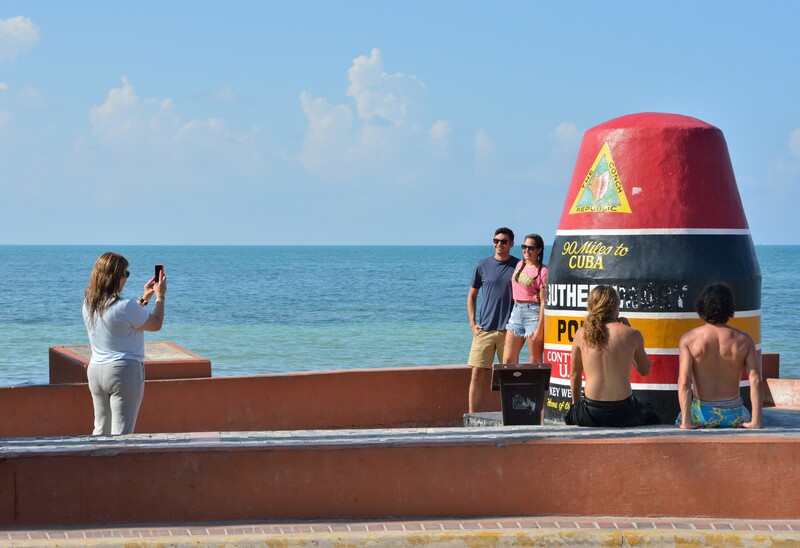 Walk to South Beach in 3 minutes and the Southernmost Point of the United States is just down the street and around the corner. 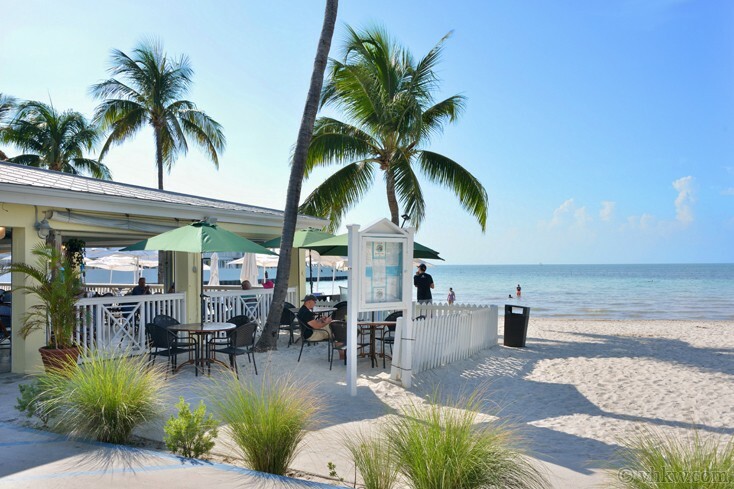 Walk to the Mallory Square Sunset Celebration in 15 to 20 minutes. Restrictions: Smoke free house. No Pets. We do not accept guests less than 25 years of age unless accompanied by a family group or guardian. Note: If you love this cottage but need to sleep more than 4 in beds, you can rent it with the one bedroom Vintage Luxury Cottage. 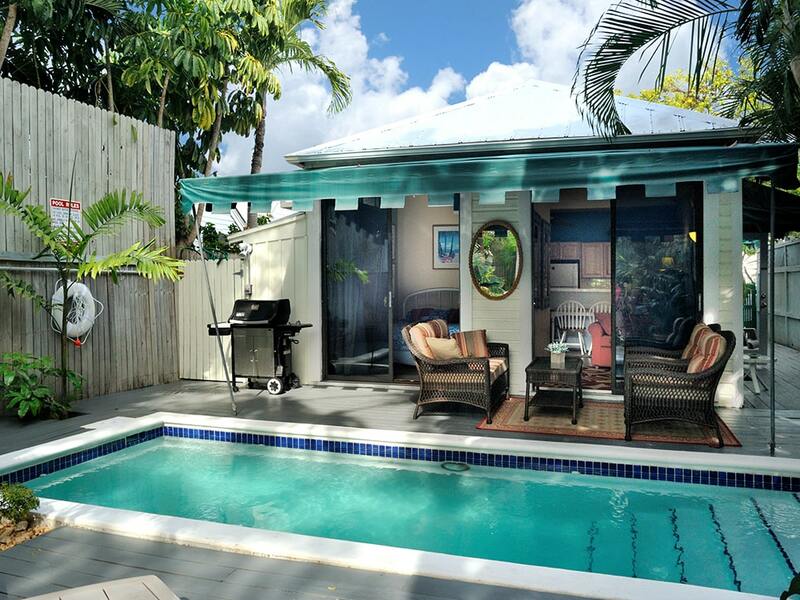 You can combine a rental of both cottages and sleep 8 by renting the Fantasy Resort Villa. When rented together, you have two private swimming pools. Apr 20, 2019 - May 26, 2019 $2725 $475 4 night min. or 3 night min. 60 days prior to arrival. May 27, 2019 - Jun 14, 2019 $2350 $450 4 night min. or 3 night min. 60 days prior to arrival. Aug 9, 2019 - Oct 19, 2019 $2350 $450 4 night min. or 3 night min. 60 days prior to arrival. Oct 27, 2019 - Nov 3, 2019 $2350 $450 4 night min. or 3 night min. 60 days prior to arrival. Nov 11, 2019 - Nov 22, 2019 $2350 $450 4 night min. or 3 night min. 60 days prior to arrival. Nov 30, 2019 - Dec 20, 2019 $1900 $450 4 night min. or 3 night min. 60 days prior to arrival. Jan 4, 2020 - Jan 10, 2020 $2925 $550 4 night min. or 3 night min. 60 days prior to arrival. Jan 11, 2020 - Jan 17, 2020 $2925 $550 4 night min. or 3 night min. 60 days prior to arrival. Jan 18, 2020 - Jan 24, 2020 $2925 $550 4 night min. or 3 night min. 60 days prior to arrival. Apr 18, 2020 - May 24, 2020 $2725 $475 4 night min. or 3 night min. 60 days prior to arrival. May 25, 2020 - Jun 12, 2020 $2400 $450 4 night min. or 3 night min. 60 days prior to arrival. Aug 8, 2020 - Oct 22, 2020 $2400 $450 4 night min. or 3 night min. 60 days prior to arrival. Nov 1, 2020 - Nov 7, 2020 $2400 $450 4 night min. or 3 night min. 60 days prior to arrival. Nov 16, 2020 - Nov 19, 2020 $2400 $450 4 night min. or 3 night min. 60 days prior to arrival. Nov 29, 2020 - Dec 18, 2020 $1950 $450 4 night min. or 3 night min. 60 days prior to arrival. We absolutely love our property. Check in was extremely easy. Even though we had no issues during our stay, we felt if anything arose, it would be taken care of. Cannot wait to come back! Great cottage! Was just perfect for our little family of three. All supplies were provided. All we needed to buy was food. Great location. We did not experience any problems with the home or management company. Excellent communication. Prompt responses. Clean property. No surprises. This is our second stay with VHKW.COM. Everything was great and the private pool was awesome. See you soon. VHKW was easy and a pleasure to rent from. 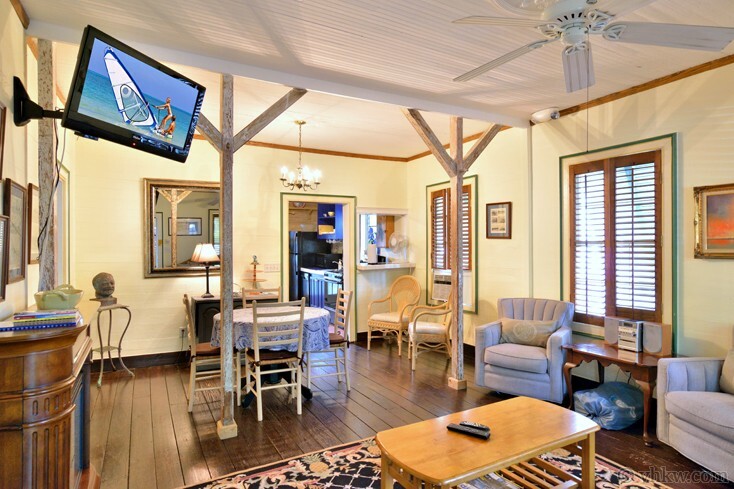 Carribean Cottage was in the perfect location literally right off more the southern end of Duval St. 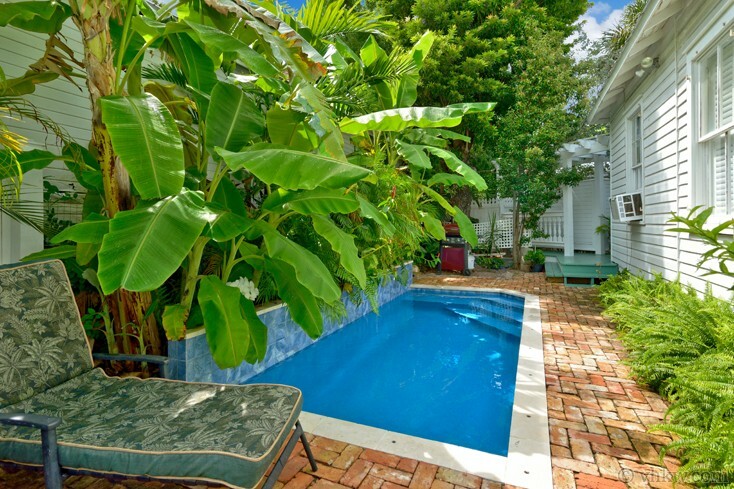 This house was great for our group in a quentessential Key West cottage. We loved it! A very well kept and clean cottage. The kitchen had everything needed to prepare meals, baths had plenty of towels, comfortable beds, good working a/c. The private pool and courtyard along with the iguanas were a big hit. We are already looking forward to another visit. We loved the home. Great location. Easy check in process. Will definitely use your service again, and recommend to others. Great service, would book again! It was an overall great experience. The cottage was perfect for the two of us and it was an awesome location. 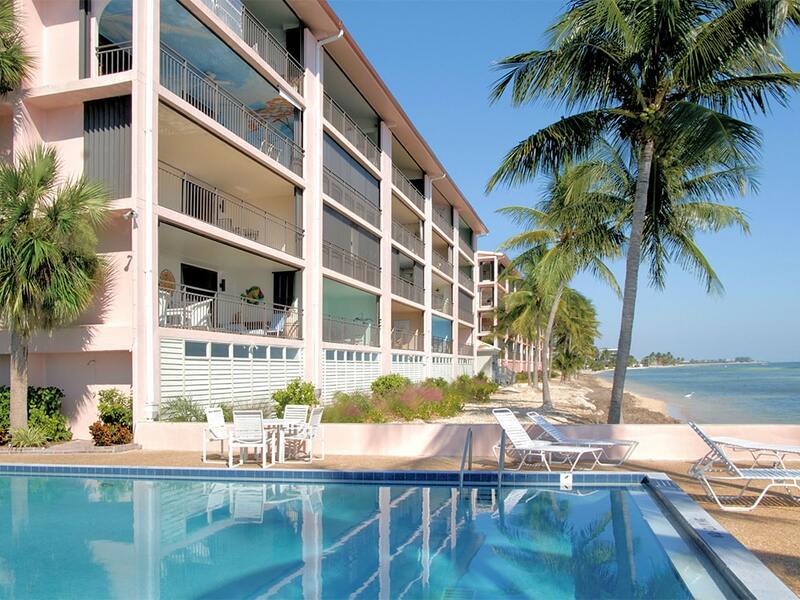 We had a very good experience with booking with Vacation Homes of Key West. The process was very smooth from booking to payment to check in and check out. The property we rented was fantastic and we really couldn't have been more pleased. The cottage was clean and well appointed. The pool and back deck served us well. The location is one of its biggest assets. Our interface with the management and maintenance people couldn't have been better. No major issues arose during our two week stay. One minor gripe was for the recycle bin's size. It was way too small to hold all our empties and the lid was broken. I would definitely stay there again. Totally amazing!! Worth the money. Our comfort level was through the roof. Not even mad about lack of Wi-Fi. It was right after Irma and Comcast had bigger fish to fry for sure. So much to do on the island. Next time, gonna stay at least 2 more days. Every amenity was provided for down to coffee!! What a quaint and warm little cottage. We fully enjoyed ourselves. Only issue was the pool is a little small and deck space for sunning was limited. It also could be the time of year, but the sun availability was limited around the pool. But we will visit this cottage again in the future. Well worth the time and money. Much closer to Duvall St activity than website leads you to believe. Fabulous to walk out your front door to get great Ice Cream and staples just at the end of the street (100 feet). We had a great time at the Caribbean Cottage. It was a great location, the home was clean, and the pool was great after a hot walk on duval, we went night swimming ever night. Thanks so much, we had a great vacation. We absolutely loved our accommodations! Great location! Exceeded our expectations! The hardest part of this vacation, was LEAVING!!! Reservations were easy, as was the paperwork and payments. My mom had never taken a vacay like this, but I had, so I knew what to pack, but the house was already prepped with most of the essentials we took! The 506 Virginia was very clean, had a very warm coming home feeling to it, and the private pool was everything! Check in was very easy and I love the fact that VHKW called me prior to arrival to touch base. We will definitely come back to 506 Virginia, and look forward to working with VHKW again! My only suggestion would be to spray the yard, or bring yard guard for the mosquitos! They were really bad early morning and later afternoon...but they didn't keep us from having a blast! Cottage was nice and very easy to access. Our stay was quaint and convenient. 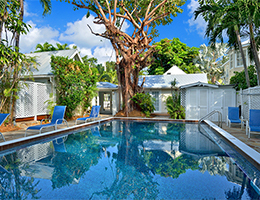 Absolutely perfect for two couples to stay at Key West! 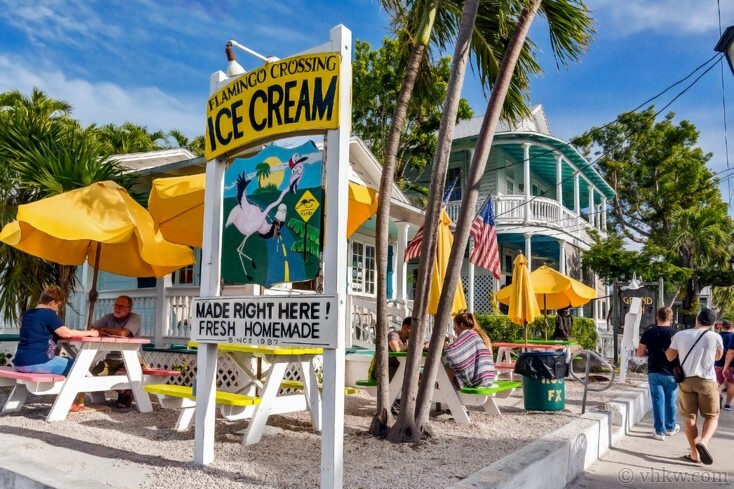 Homemade ice cream on the corner, 4 short blocks to the beach and southernmost point, and 2 blocks from our favorite restaurant, La Te Da. Accommodations were everything as listed and shown in the pictures. Everything worked and there were no problems at all. Checking in and out was a piece of cake. Pool was private, clean and so refreshing. I would definitely return to this piece of paradise! 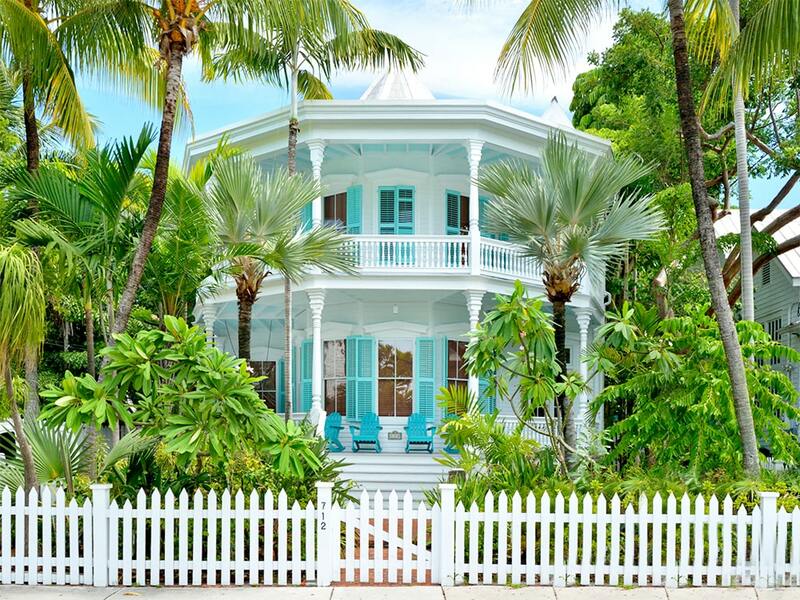 Vacation Homes of Key West was a pleasure to book with. This place is near Duval St on the far end from Mallory Square. It was lovely and had the feel of a small cottage with all the amenities of home. It had a parking spot in the driveway for one car and a private pool. Very close the Butterfly and Nature Conservatory which we always visit when in Key West. We highly recommend this place.